As antimicrobial resistance continues to rise, we're racing against time to figure out the next-best solution to battling superbugs. Antibiotics won the battle against resistant bacteria, but they may not win the war. You probably know that antibiotic-resistant bacteria, also known as superbugs, have hampered physicians’ ability to treat infections. You may also be aware that there has been a steep decline in the number of new antibiotics coming to market. Some headlines suggest humanity is doomed by antimicrobial resistance; even politicians and governments have weighed in, comparing rising antimicrobial resistance to other popular crises such as climate change. Although I believe these assertions are exaggerated, antimicrobial resistance is a serious problem. I am a physician scientist with a specialty in infectious diseases. I have been fascinated by the role that bacteria play in human health, and the potential for using viruses to treat bacterial infections. One significant factor contributing to antimicrobial resistance is the excessive use of antibiotics. In the U.S., where antibiotics are widely available, some patients demand these drugs for many different illnesses. Many physicians appease their patients because they don’t understand when and when not to use them and because there is no regulatory structure to limit their use. Anyone with a prescription pad can prescribe any antibiotic to treat any condition and rarely, if ever, face any consequences. There are some efforts to reduce antibiotic use, but the scope of the problem in the U.S. remains large. Some countries, such as Sweden, use incentives to encourage doctors to improve antibiotic uses. But there is no counterpart for this system in U.S. hospitals and clinics. The problem goes beyond humans; 70 percent of all antibiotics are actually used on animals. This means that humans can be exposed to antibiotics by just handling animal products. The drumstick you are preparing for dinner might also have antibiotic-resistant bacteria tagging along. Once antimicrobial resistance develops in a bacterium, it doesn’t always go away. For example, methicillin-resistant Staphylococcus aureus (MRSA) evolved resistance to multiple different antibiotics; yet, despite efforts to reduce its spread by limiting the use of antibiotics that led to its emergence, MRSA still persists in hospitals and the community. 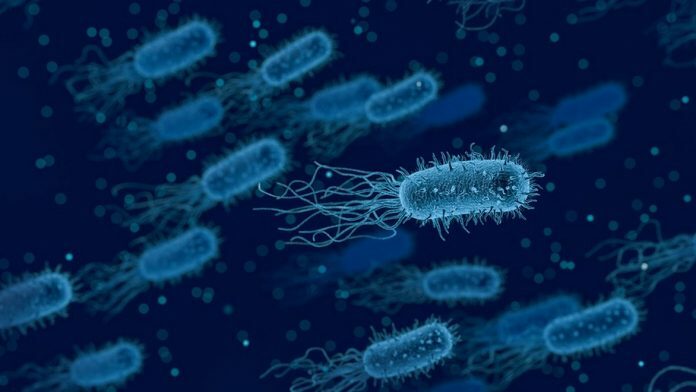 Another reason for finding alternatives to antibiotics is that we share our microbes with the people and pets who live around us; thus, others can acquire one of these superbugs without ever taking an antibiotic. A not-so-obvious reason for developing new therapies is that our bodies are home to a large community of microorganisms, including bacteria, called our microbiome. These microorganisms are necessary to maintain our health. Those same antibiotics that kill harmful bacteria also kill the good ones. There is an alternative to antibiotics, but it was dismissed by medicine years ago. That alternative was something called phage therapy, which uses viruses that infect bacteria, called bacteriophages, to kill disease-causing bacteria. Bacteriophages, or phages, were used frequently in the early- and pre- antibiotic eras between the 1920s and ‘40s to treat life-threatening infections. But phage therapy had many disadvantages. The first was that phages were unpredictable. One type of phage might wipe out the bad bacteria in one individual but not another’s. So hospitals had to keep a broad collection of phages to kill disease-causing bacteria from all their patients. An antibiotic such as vancomycin, by comparison, predictably kills entire groups of bacteria. Another downside is that phage collections require maintenance. So not only did hospitals have to keep a large variety of phages on hand, but they had to keep them in shape. So medicine chose antibiotics for convenience, and hadn’t looked back in any meaningful way, until recently. So, why is phage therapy making a comeback? Antibiotic resistance is an obvious answer, but doesn’t explain the full story. As a specialist in infectious diseases, I have been interested in phage therapy as long as I can remember, but only recently have I felt comfortable saying this out loud. Why? A physician might be considered a “quack” just for mentioning phage therapy because the early attempts were neither a rousing success or a colossal failure. Like any therapeutic, it had its strengths and weaknesses. However, now scientific advances can guide us toward which phage is best for destroying a particular microbe. With the rising antimicrobial resistance crisis, physicians and scientists have a well-timed opportunity to work together to develop effective phage therapies. The proof of this comes from recent landmark phage therapy cases. The successful treatment of a physician with a life-threatening infection and a grave prognosis caused by a multi-drug resistant bacterium at my institution serves as a great example. Another pivotal case circulating in popular media has kept this trend going. We physicians may be able to treat just about any disease-causing bacterium; it is just a matter of finding a suitable phage. A big part of phage therapy research is devoted to “phage hunting,” where we microbiologists scour the soil, the oceans and the human body to identify phages with the potential to kill the bacteria that ail us. While the pace of these studies has been slow, the new research is revealing the therapeutic potential of phages in medicine. You might think that with all the phage hunting and landmark cases that we would start using phage therapy all the time, but we don’t. One advantage of antibiotics is that since they have been used for decades, we know a lot about their safety. Physicians make simple calculations every day about the risk-benefit ratio of using antibiotics, but aren’t equipped to make the same calculations about phages. Does anyone really want a doctor injecting them with a virus to cure a bacterial infection? I doubt that would be anyone’s choice when the question is posed that way. But, remember that phages are natural. They’re on every surface of your body. They are in the ocean and soil, and in your toilet and sink. They are literally everywhere. Thus, putting a phage into your body to kill a bacterium quite frankly is something that nature does to us every single day, and as far as we know, we are no worse for the wear. Phages are estimated to kill half the world’s bacteria every 48 hours and are probably the most potent antibacterial agents out there. Is there really a compelling reason to be concerned when a doctor gives us a phage instead of us acquiring that same phage from our sink at home? Only time will tell. Unfortunately, as antimicrobial resistance continues to rise, time may not be on our side.